Found 29 file extension associations related to LabVIEW and 26 file formats developed specifically for use with LabVIEW. 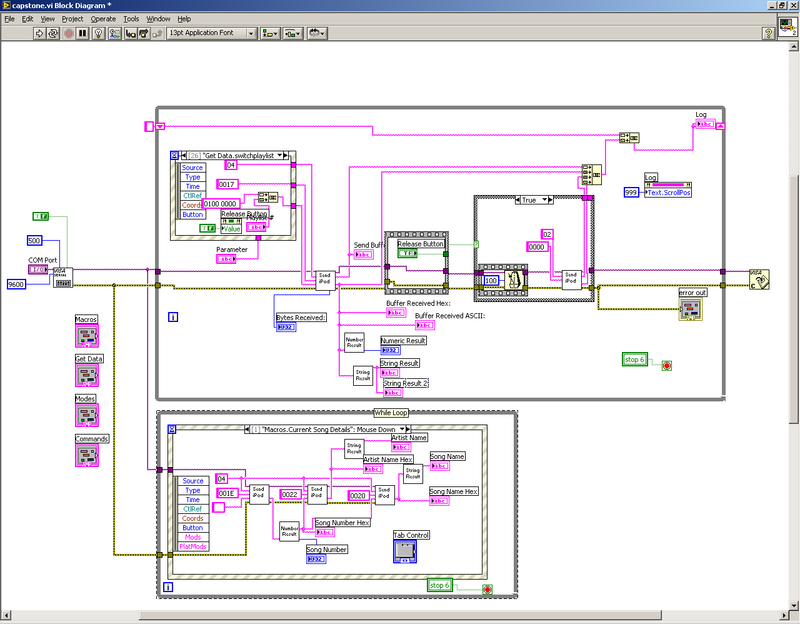 LabVIEW is a comprehensive development environment that provides engineers and scientists unprecedented hardware integration and wide-ranging compatibility. LabVIEW inspires you to solve problems, accelerate your productivity, and gives you the confidence to continually innovate to create and deploy measurement and control systems. For more than 20 years, NI LabVIEW graphical programming has revolutionized the development of test, measurement, and control applications. Regardless of experience, engineers and scientists can rapidly and cost-effectively interface with measurement and control hardware, analyze data, share results, and distribute systems. If you need more information please contact the developers of LabVIEW (National Instruments Corporation), or check out their product website.